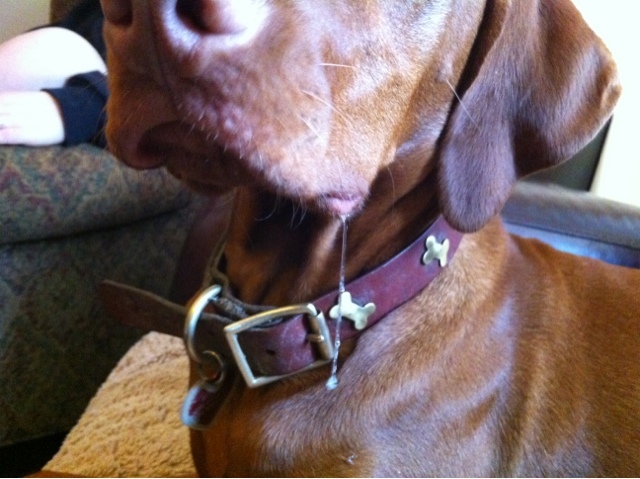 Ugh the drool... Luna did this just last night while sitting in the open doorway and looking outside. She tends to drool more when she is sniffing. Have you seen the sniffing slag?? the really thick/foamy white drool they get when running? No drooling was one of my pre-reqs for a dog breed.... I once again got the exception, as Luna drools more than most other Vs I know including her family members. But I don't mind a whole lot, a simply swipe and wipe onto jeans usually fixes it. Oh yes, the froth is wonderful. 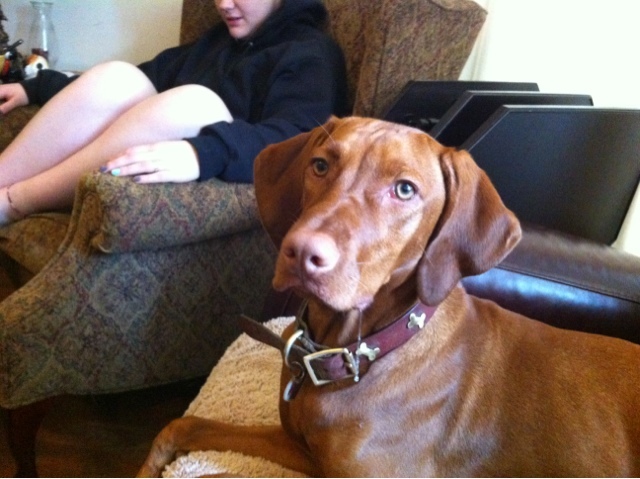 She always gets a good accumulation of it on hikes and Vizsla meet-ups. Thankfully, she usually wipes it off on her sister's back while they are playing! :p We also *thought* that Vs didn't drool... or dribble water after they drank... surprise!